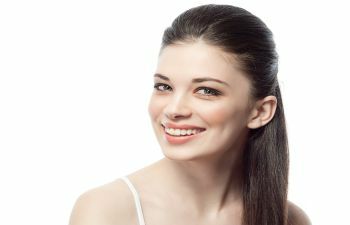 Boasting big-time results in the arena of anti-aging and skincare, the Platelet-Rich Plasma (PRP) Facial is a combination of microdermabrasion and the rich serum portion of blood. Yes, that’s right—blood. To explain, blood platelets are packed with growth factors and bioactive proteins that optimize the skin’s natural function. The best part, however, is that these platelets increase everything from collagen to elastin, while also bringing antioxidant and hydrating properties to the skin, as explained by Allure. Thus, it’s easy to see why celebrities, social media influencers and just about everyone else are seeking this mysterious, yet advanced technique to rejuvenate skin with premature wrinkles, sun damage and uneven skin tone and texture. Given a better understanding of the stimulating power of blood platelets, consider the process of a PRP Facial, which begins with a simple blood draw. To isolate the platelet serum from the red blood cells, the sample is placed in a centrifuge machine for up to 20 minutes. Just before the platelets are smoothed over the face, a microdermabrasion or microneedling treatment is performed. In some cases, these treatments are coupled with Radio Frequency (RF) to amplify results. Moreover, following this treatment, the platelets are better able to penetrate tissues and begin transforming the skin. Aside from awakening tired, aging skin, a great benefit of the PRP Facial is that it is a non-invasive procedure requiring little to no downtime. What’s more, because the famous facial utilizes a patient’s own blood, there’s no synthetic substances injected into the skin. Rather, the procedure harnesses the body’s natural process of cell renewal, which aids in collagen production to restore lost volume and smooth out crepey skin and wrinkles. As a dual board certified facial plastic surgeon, Dr. Benjamin Stong proudly offers the revolutionary PRP Therapy at The K Spa in Atlanta. Without question, when patients visit Dr. Stong’s medical day spa, they benefit from the skill and precision of an elite plastic surgeon that is experienced in administering PRP therapy to patients. To speak with Dr. Stong regarding PRP Therapy, call The K Spa today.